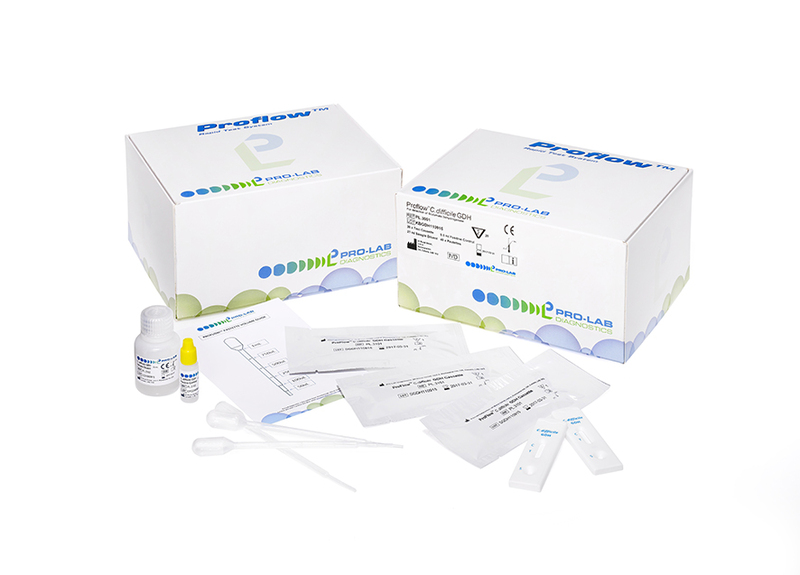 The Proflow™ C. difficile GDH is a rapid, qualitative, lateral flow immunoassay for the detection of GDH antigen in stool. The assay uses antibodies specific to GDH coated onto the membrane in the test line. During testing, the GDH present in the stool specimen reacts with the anti-GDH antibody (conjugated with gold particles) and migrates up the membrane by capillary action. This in turn reacts with the anti-GDH coated in the test line. The presence of a coloured line in the test line indicates a positive result, while its absence indicates a negative result. To serve as a procedural control, a coloured line will always appear in the control line.